When you’re hanging out with your roommates or friends. When you’re celebrating a Holiday with family, not that anyone is counting down to Thanksgiving break here, though, right?! When a tough final or presentation is done and you’re celebrating a victory dance – it’s ok to admit it; we’ve all done a little happy dance at some point. Yes, when life is good, it’s easy to join the Psalmist and shout for joy to God, to sing the glory of his name, and give him thanks and praise. 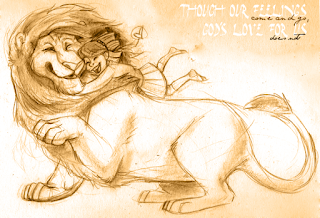 But, of course, we know that life isn’t always like the end of our favorite Disney movie. It’s much harder to have joy in all circumstances when circumstances in life seem about as far from joyful as you can get. When …it feels like hope and joy are gone. When the world – so broken, so full of disease, terror, tragedy, sin and death – seems to be crashing down upon you. When we grieve the death of loved ones, and lament our own sin and guilt. Joy in all things? That doesn’t just sound hard to do; it sounds down right impossible. And in fact, it is, if we’re only talking about our own joy. After all, if joy is like our feelings and happiness, it will come and go. If joy is something that is only in the stuff of this world, then it’s fleeting at best. And if joy is something we must search for within ourselves, we’ll always be left looking to our thoughts, desires, and actions instead of Christ, where, the Psalmist says, true joy is found. Israel’s true joy was found in YHWH’s salvation. Our true joy is found in YHWH’s salvation in Jesus; in the awesome deeds he has done for us on the cross. And where there’s Jesus, there’s joy. Joy in the Good News that while we were still sinners, Christ died for us. Joy in God’s gift of Baptism where he washes away our sin. 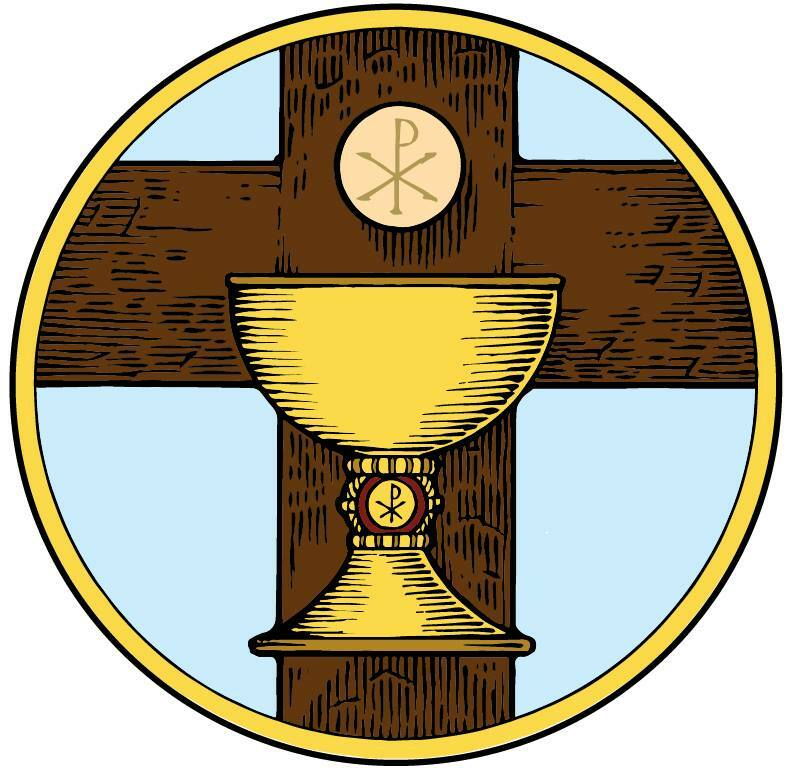 Joy in the Lord’s Supper where we are filled with the joy of sins forgiven. Joy in Jesus’ crucified for you, where he took all our unjoyful thoughts, words, and deeds, our sin and death itself all upon himself on the cross for you. True joy, - yes, even joy in all circumstances – is found in Jesus, the author and perfecter of our faith, who for the joy that was set before him, endured the cross, despising its shame, and has sat down at the right hand of the throne of God. 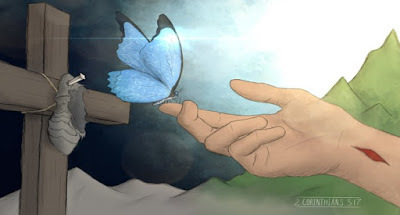 And that means, as the Psalmist declares, that God will never remove his steadfast love from you – not when we’ve forgotten him in good times, or when we cry out to him in tough times. Jesus’ cross and resurrection for you is your joy, today, tomorrow, and always. Wedding Sermon for Don Jones and Addison Griede: "Sacrifice"
In the Name the Father and of the + Son and of the Holy Spirit. Amen. At the heart of some of our favorite stories there is a sacrifice. Harry Potter goes to the Forbidden Forest to face Voldemort and save the wizarding world from evil. Against overwhelming odds, Matthias saves Redwall Abbey from Cluny the Scourge by putting himself in harm’s way. 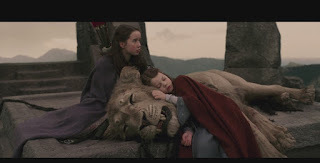 Aslan lays down his life on the Stone Table to save Narnia from the White Witch. Frodo and Samwise deliver the Ring of Power into the heart of Mordor, and at great cost to themselves and their friends. Odysseus spends 10 years and endures countless dangers to get back to his wife Penelope. Even our modern-day Superheroes (whether you prefer DC or Marvel) would have no story without sacrifice. Spiderman runs in front of a moving train to stop it. Superman sacrifices himself to save Metropolis. 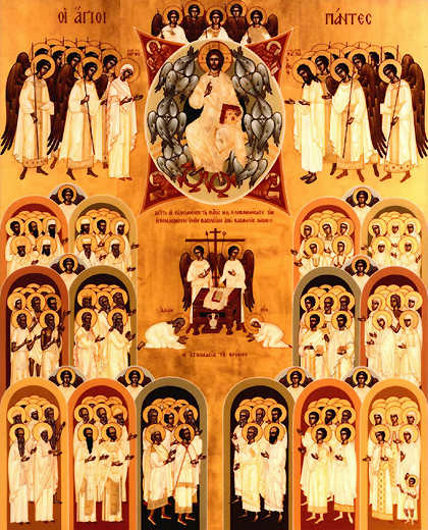 Jesus’ death and resurrection is the center of the story of Christianity. Without Jesus crucified and risen, there is no story, no Christianity, and no hope. 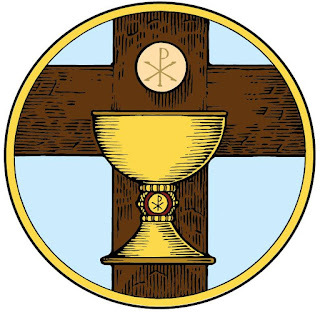 And yet through Jesus’ death and resurrection, we receive all good things: God’s gifts of daily bread, family, and home; true joy in life and death; forgiveness of sins; even God’s gift of marriage comes to us through the cross, for Paul says that Christ loves us, his bridegroom, in his sacrifice for us. And while this story is like many other stories, there is one major exception. Unlike the sacrifice of Harry Potter, Frodo, or Superman, this story happens to be true. Christ’s sacrifice for us didn’t happen in a comic book, a fairytale, or in a galaxy far, far away, but in human history. Jesus was crucified under Pontius Pilate. What is Paul’s great secret to a Christian marriage? In a word, Sacrifice. Marriage is about many things: daily chores and life-long goals, home and family, work and leisure, communication and finances, love and intimacy, and the list could go. What do all these have in common? Sacrifice. Denying ourselves for the sake of another. 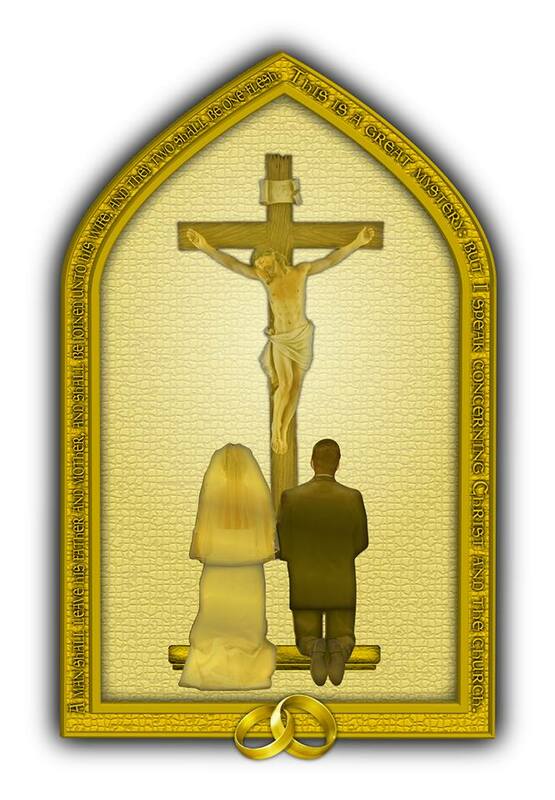 Thankfully, marriage is sustained by Christ’s sacrifice for us, and not our own. Sacrifice in marriage only happens in, and through, and because of Christ’s sacrifice for you. You love because Christ first loved you. You sacrifice for each other because Christ first sacrificed himself for you. You live and care for each other each day because Christ lives and cares for you in his death and resurrection. 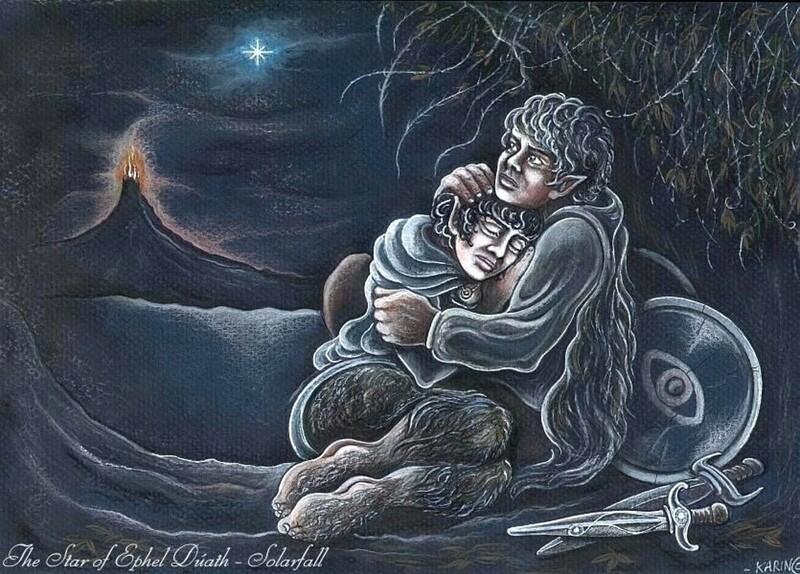 As husband and wife, be loyal to one another as were Samwise and Frodo. Cherish one another as Odysseus cherished Penelope. Befriend one another in thick and thin like Ron, Hermione, and Harry. And above all, live in Christ’s sacrifice for you. Pray together. Read and hear his Word together. Live in His forgiveness together. And so, today, Don and Addison begin a new chapter in the story of their life together; Jesus’ sacrifice fills their marriage with his love and sacrifice. Today is a certainly a happily ever after kind of day. But know that even when it doesn’t feel that way, you have true joy and contentment in Christ’s sacrifice. Today, you may not know how your story will go – what twists and turns life will take - but you know the most important part: Christ died and rose for you. As your married life together begins, know that Christ’s love revealed on the cross for you and for all, is the greatest, true, and never-ending story.